The White Bishop comes from the Swatch Originals Line and the Gent Family. The GW164 features a full matte white design from the soft touch silicon strap to the matte plastic casing. The Crown comes with a polish gold tone finish what colour matches with the hands and dial accents of the GW164. 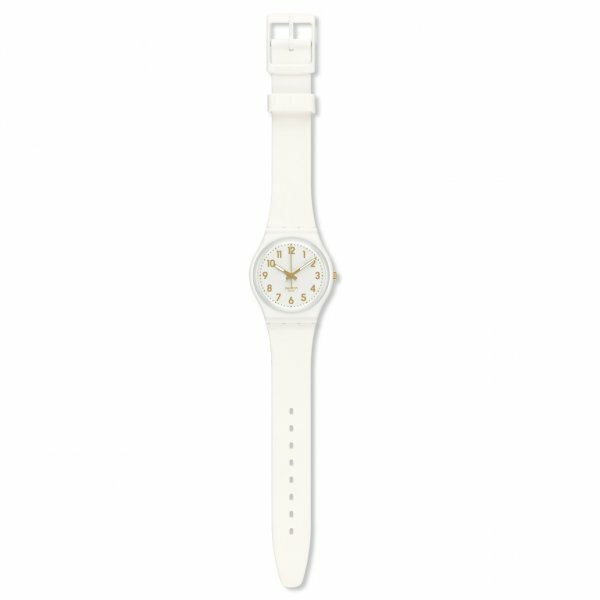 The Swatch White Bishop comes with a 2 Year Manufacturer Warranty as well as free delivery.